At Deneweth, Dugan & Parfitt in Troy, Michigan, our attorneys provide committed legal representation to clients in the areas of Construction Law, real estate transactions, Fidelity and Surety Law, Employment Law. We also offer the full range of legal services relevant to the formation, organization, sale, acquisition, and day-to-day operation and litigation for small to mid-sized businesses. 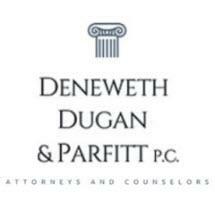 At Deneweth, Dugan & Parfitt, our clients’ interests are of the utmost importance. Our construction law lawyers take the time to analyze and discuss our clients’ legal issues so that we understand their needs and can achieve an appropriate solution in a timely and efficient manner. We believe that, through individual attention and open communication with our clients, we can provide answers to their legal challenges that meet the demands of their unique business and personal circumstances. At Deneweth, Dugan & Parfitt, we want you to play a proactive role in the legal process. We will keep you informed of the status of your legal matter and we will provide you with legal advice to guide your business as it grows and moves forward. Our fee arrangements and billing practices are always designed to accommodate your business needs. Our goal is to provide quality legal services at a reasonable cost to our client. We pride ourselves in our high standards of professional conduct and responsibility. A successful lawyer-client relationship requires complete trust and confidence, and we assure you of complete confidentiality in your legal matter.